The facility of the higher education was out of their reach like Ahmednagar, Beed, Aurangabad, Pune, Latur and other district places. Anandrao Dhonde Alias Babaji Arts, commerce and Science College is run by Anand Caritable Sanstha Ashti, Dist. Beed. The Ashti taluka of Beed district was one of the educationally and economically backward taluka of Maharashtra. The demand of the education and particularly higher education was a long waiting of community. Anand Charitable Sanstha is founded by Ex-MLA Hon. Bhimraoji Dhonde for imparting the education to economically and educationally backward community. Our college is established in July 1990. 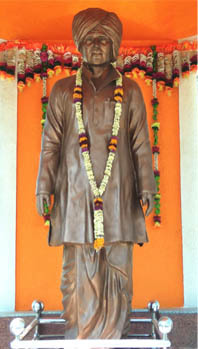 The Ashti taluka of Beed district was one of the educationally and economically backward taluka of Maharashtra. The demand of the education and particularly higher education was a long waiting of community of this area. The Ashti taluka of Beed district was one of the educationally and economically backward taluka of Maharashtra. 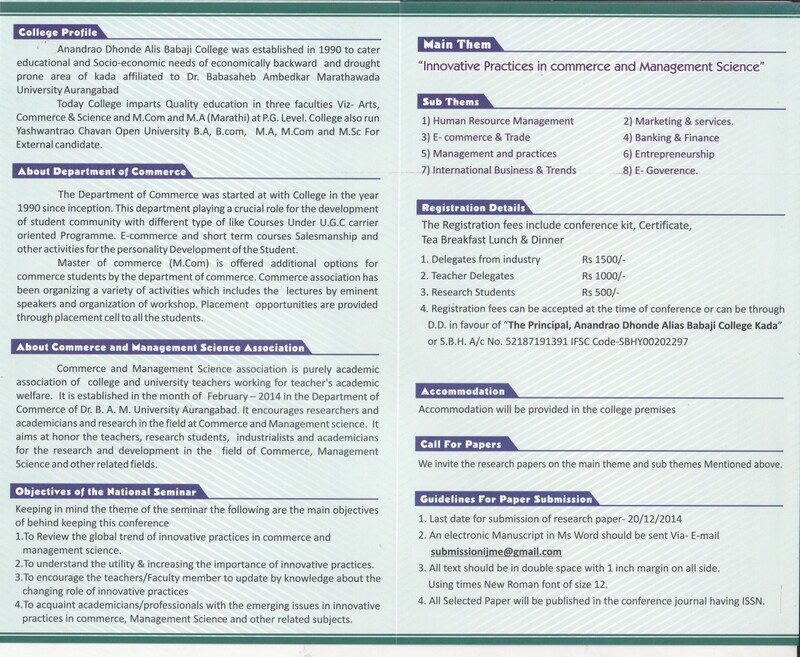 Anandrao Dhonde College offers undergraduate, post graduate courses in the Faculty of Arts, Commerce and Science. The Ashti taluka of Beed district was one of the educationally and economically backward taluka of Maharashtra. The demand of the education and particularly higher education was a long waiting of community. Our library of the college is one of the well maintained libraries in Aurangabad region and Dr. Babasasaheb A. Mahrathwada University, Aurangabad. Earn and Learn Scheme is helpful for the poor students so the scheme was accepted and run by some of the universities in the state.